Hello, Bunny here today, Happy OCTOBER! Just where did September go! Today I am trying to do a CAS card. I am normally a layer type of girl but I am pretty happy with this card! Rosemary had a similar watercolored leaf a couple weeks ago and I thought I need to try that too! Using Ranger Watercolor Paper I used my Zig Clean Markers, scribbled on some colors and spritzed with water to get the watercoloring effect, then die cut my leaf. I used that SAME leaf die to emboss on my card using an embossing mat in my Big Shot. I love how it came out, just subtle enough but yet gives it a background. Oh, so very pretty! 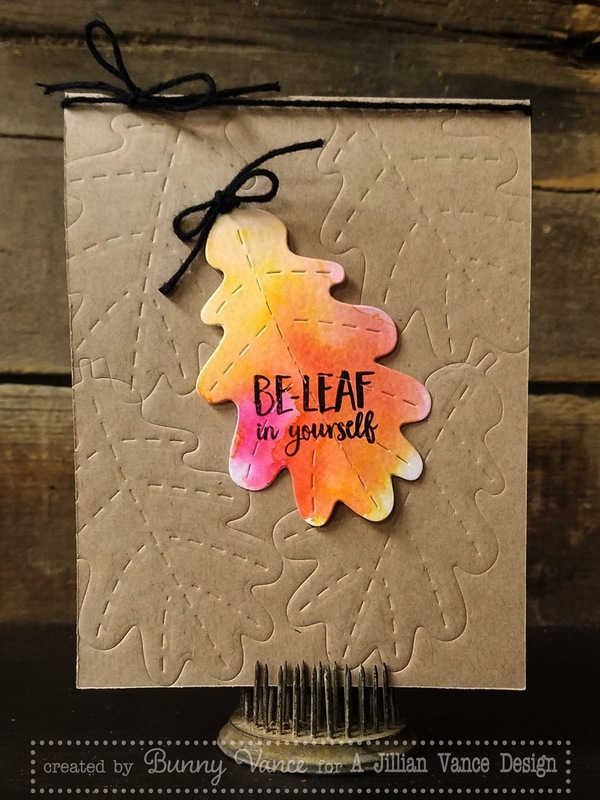 Love the embossed kraft background and that beautiful leaf! 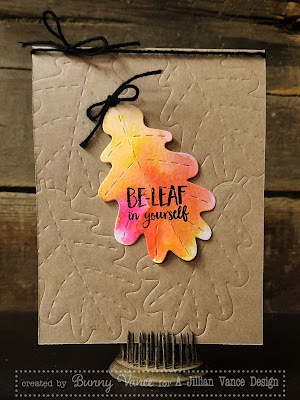 That's a great fall card with a gorgeous leaf !